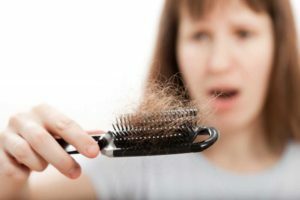 What Is The Best Hair Loss Treatment For Women In Brisbane? Is there anything more disheartening for a woman than losing her hair? One minute you’re enjoying luscious, thick and healthy hair, and the next it’s thinning and patchy, with sections of your scalp nearly visible. Female hair loss is just as common as it is for men, and it has an equally devastating impact on one’s self esteem. It’s common for sufferers to withdraw from socialising and stop taking care of their appearance like they used to. It’s no way to live – and thankfully there are options available to halt hair loss and recover growth. Keep reading to find out about the best natural hair loss treatment for women that Brisbane has to offer! 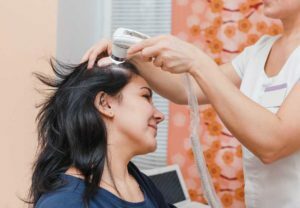 Female Hair loss is more common than people realise, and researchers in the field believe that less than 45% of women will retain full head of hair through aging. 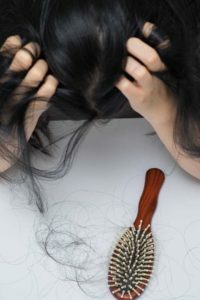 While there are many causes of hair loss in women, the condition easy to diagnose clinically commonly known as female pattern baldness or alopecia. While hair loss might not cause pain, the same research tells us that one in five Australians with hair loss are depressed about the fact, and that one in three experience low self-esteem. While both men and women suffer, male hair loss is seen as more acceptable in society, and women face heightened scrutiny concerning their appearance. It’s no wonder 42% of women admit to being ‘terrified’ by the prospect of losing their hair! While hair loss is associated with age, it can impact younger women too. Thankfully, neither age group has to resign themselves to a lifetime of baldness, as there are many treatments available to disguise thinning hair or encourage hair regrowth and restoration. Is there a way to Stop Female Hair Loss? Each is highly effective, but not recommended as a first line of defence when reversing hair loss or looking for natural hair replacement in women. Surgical interventions are expensive and anaesthesia is risky, doctors are reluctant to prescribe medication that can tamper with hormones and create unpleasant side effects, and natural looking wigs that fit well can run into the thousands of dollars. It’s better to seek out low risk treatments first, as these could reverse and dramatically improve hair loss so less follow up is needed – if it’s needed at all! For other commonly asked questions related to women hair loss, check out our Frequently Asked Questions page. In these cases, it’s best to pay a visit to your doctor and get your levels tested so that any medication you take is of a safe and controlled dose and able to benefit you. A relaxing scalp massage is an excellent choice of treatment for female hair loss because not only is it enjoyable but it brings increased blood flow to the scalp, encouraging hair growth. Recent research by Japanese scientists has investigated how the scalp’s epidermis, dermis, skin appendages, blood vessels and nerves can be stimulated by touch. The study found that over several weeks of massaging, individuals taking part in the study experienced increased and measurable hair thickness. Shampoos and other topical hair loss treatments for women have received a bad rap over the past few years, mainly thanks to manufacturers with bogus products that fail to impact hair growth at all. It’s worth remembering that the effectiveness of these remedies has advanced by leaps and bounds over the past few years, and some can have a noticeable impact. At Tango Hair Loss Clinic, you’ll find all plenty of natural and effective hair regrowth products to choose from, and as female hair loss treatment specialists in Brisbane we can put together a program to tackle your specific needs and help you reach your regrowth goals. Before you seek out more extreme measures, we recommend you call us today to book an appointment in one of our Private Consultation Rooms. We’re conveniently located the suburb of Ashgrove, in close proximity to the Brisbane’s Central Business District and easily accessible through public transport. You’ll be pleasantly surprised at how affordable and non-invasive our hair loss recovery options can be. Call us on (07) 3366 1388 to Book an Appointment in one of our Private Consultation Rooms today.